When I first started writing about Dark Stars back in 1999, I had little realisation that they might turn out to be pink! At that time, knowledge about brown dwarfs was in its infancy and there had not yet been any discoveries of ultra low-mass failed stars. The larger versions, of masses between twenty and eighty times that of our own Jupiter, were red - despite the tentative moniker 'brown dwarf'. But as time has gone on, we have started to learn a lot more about the objects on the lower end of the spectrum. These sub-brown dwarfs are now being imaged, and their colours are turning out to be more magenta than red. In the case of GJ 504b, which orbits its parent star that's around 57 light years away, the colour is positively pink! Is this, then, the true colour of our own as-yet-undiscovered Dark Star? Well, I would say its about the right size, weighing in at 4 times the mass of Jupiter. 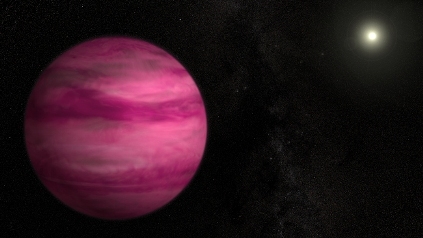 Astronomers studying the sub-brown dwarf GJ 504b think its pinkish colour might be attributable to a lack of cloud cover. It's also a lot younger than any Dark Star we might have circling at some distance from our Sun. Nevertheless, this might still be what we should expect of a "Nemesis"-style object. Less returning wrathful god than stylish succubus, n'est-ce pas? This new Pink Lady, which fittingly lies in the constellation Virgo, is challenging planet-formation theories, too. Although it is four times more massive than Jupiter, its orbit around its parent star is further out than our own planet Neptune. Which begs the question of how it formed, given that the accretion disk at that distance should be insufficient to the task of building such a colossal world. Did it migrate out to that distance? Or was another mechanism involved in its creation? Either way, this discovery opens the door slightly wider to the potential for a similar world to have formed in the outer solar system. The ancient site of Göbekli Tepe in Turkey has set back the clock of ancient civilisations by thousands of years. It is thought to date to about 10,000BCE. Much of it remains underground, still, and is in the process of being slowly unearthed. As that process continues, its becoming increasingly likely that the key to understanding this most ancient of sites lies in the sky. However, deciphering any archaeo-astronomical clues is made tricky by questions about the relative chronologies of various parts of the site. A recent paper written by archaeo-astronomer Giulio Magli speculates that the reappearance of the star Sirius, as the skies shifted over millennia, was the driving force behind the construction of this remarkable ancient observatory (1). This strange depiction seems to me to also share a passing similarity to the Winged Disk symbolism later employed by the Mesopotamians and the Egyptians alike. The broader astronomical context seems befitting, too. This event, he speculated, coincided with the transit of Nibiru through the solar system, triggering monumental Earth changes (4). For a number of reasons, the story of survival after this Deluge is connected with Mount Ararat, which is also in Turkey. I wonder if this is mere coincidence? Consider the following possibility: About 13,000 years ago 'Nibiru' did indeed invoke a massive cataclysm. Whatever the mechanism, the Ice Age was abruptly brought to a halt by a global tsunami which wiped out low-lying human settlements all over the world. Water levels rose permanently, and the survivors shifted ground away from the submerged coastal areas and river valleys that they had lived in for generations. This traumatic period was marked by a desperate fight for survival and renewal which led in turn to an oral tradition that lasted through to Biblical times, becoming the legend of Noah - as well as similar myths all over the globe. To supplement the warnings in these oral traditions, the ancients constructed complex stone sites to depict the arrival of Nibiru, and warn of what might happen next! This, I suggest, is what Göbekli Tepe was all about. 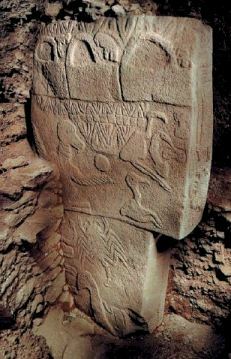 This strange disk on pillar 43 held by an anthropomorphic vulture may be the earliest known depiction of the returning planet Nibiru, shortly to be followed by the cataclysm which almost destroyed the ancient world. At the end of July, The Huffington Post (1) updated a news item that The Independent had covered way back in February 2011 (2). The earlier article from the British newspaper had reported that astrophysicists John Matese and Daniel Whitmire were hoping that data from WISE might demonstrate the existence of the a massive planet among the comets that they have provisionally named Tyche. Given the two year lapse, one presumes that WISE has not provided the data that this team of academics from Louisiana had hoped for. Are they privy to information of an impending discovery, and are paving the way with this hastily regurgitated piece? Or is this just cut-and-paste journalism at work during 'silly season'? "Professors Matese and Whitmire first proposed the existence of Tyche to explain why many of these long-period comets were coming from the wrong direction. In their latest paper, published in the February issue of Icarus, the international journal of solar system studies, they report that more than 20 per cent too many of the long-period comets observed since 1898 arrive from a band circling the sky at a higher angle than predicted by the galactic-tide theory. "No other proposal has been put forward to explain this anomaly since it was first suggested 12 years ago. But the Tyche hypothesis does have one flaw. Conventional theory holds that the gas giant should also dislodge comets from the inner Oort Cloud, but these have not been observed. "Professor Matese suggests this may be because these comets have already been tugged out of their orbits and, after several passes through the inner solar system, have faded to the point that they are much harder to detect. That 'hurdle' may also be a fundamentally important piece of evidence, in that it would also follow on from the idea of a Dark Star sweeping out the inner layers of comets during perihelion transits. You can read this either way, to be honest. You were kind enough to review my book, "Alien Rock: The Rock 'n Roll Extraterrestrial Connection" some years ago. 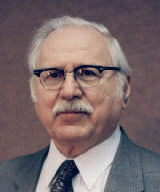 I was a friend of Zecharia Sitchin and an associate of the late Tom Van Flandern, the former Chief Astronomer for the U.S. Naval Observatory in Washington, D.C. who told Robert Harrington the coordinates for Planet X. Harrington found Planet X just where Van Flandern thought it would be. Tom then made the announcement of the government's discovery which generated worldwide headlines. I am convinced that the meteor bombardment and the extreme weather that we are currently experiencing is a sure sign that Planet X is coming closer towards Earth. Nothing less than our survival is at stake. Please go to my website, www.CosmicMajority.org and read the homepage. Mrs DarkStar and I took our boys, 16 and 12, to Disneyland Paris on 24th July 2013 on what was a beautiful, hot day. Mrs DarkStar is not a fan of roller-coasters, and chose not to go on Space Mountain Mission 2 with us at about 14.30 that day, which turned out to be just as well for her! Some time into the tumultuous ride, which takes place in the dark, the roller-coaster came to a sudden, unexpected halt. After several minutes of nothing happening, the lights came on and we found ourselves almost at the top of one of the largest ascents, on a sharp incline. I reckon we were about 80' off the ground. Several more minutes passed during which there was absolutely no communication with us. Then a couple of Disneyland staff appeared on the emergency walkway, which ran along the entirety of the ride - a young man, and a nervous-looking young woman who was wearing climbing gear. I kid you not! While the man issued some evacuation instructions and looked on, the woman proceeded to clamber up onto the back of each carriage to manually release the safety harnesses which were still in place around our shoulders. We were then asked to carefully climb out of the rollercoaster carriage and step across the gap onto the adjacent walkway. Now, I'm not too great with heights, and although I managed the manoeuvre without any real difficulty, I still found this pretty stressful. My kids found it all rather fun, naturally. We waited on the 80' high catwalk as the rest of the people were evacuated from the ride carriage by carriage. At this point, the male member of staff - who had made no real effort to help the passengers himself, started yelling in English at someone who had evidently started to film or photograph what was going on. It seemed that the man's entire purpose for being there was to police the evacuation to prevent anyone recording it on their phone. He got quite cross about it, too. Eventually, we made our way down the steep catwalk and before we knew it we were back out in the park. Now, I was expecting to be met by a representative of the park to apologise to us for what had taken place. Yeah, right. Instead, the available staff were all at the entrance to the ride explaining to the park visitors why this major ride was temporarily closed. At no point in the entire proceedings did anyone ask if we were okay, or express any regret about the incident - either in French or English. Their priority - after safely evacuating us, of course - was pure damage control. After about half an hour, the ride was restarted. I guess, looking at the various YouTube clips of other evacuations, this sort of thing is pretty routine at Disneyland Paris. "On Monday's show, scientist and researcher Michael Tellinger discussed they mysterious Anunnaki, as well as evidence in support of Zecharia Sitchin's revolutionary work showing that these ET beings created us using pieces of their own DNA, in order to mine gold on Earth for them. "The more work I do on these beings called the Anunnaki, the more mysterious and also the more devious they become...they are not necessarily what we think they are," he remarked. 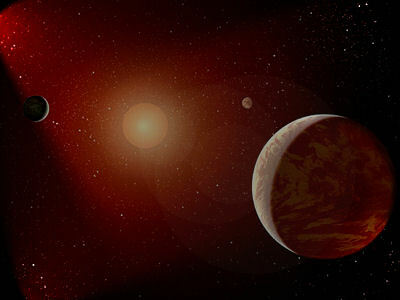 It's turning out that where they came from-- Nibiru, could actually represent a star system rather than a planet, with its sun being a brown dwarf, he reported. Further, the gold they were extracting from Earth could have been used for a device that concealed their activities from other consciousnesses even more advanced than themselves, he theorized." My friend Lee Covino and I have had contact with Michael Tellinger in the past, and have promoted the Dark Star Theory website to him, so really it's no great surprise to us that he's taken an interest in it. It's great to hear that such a popular Sitchinite author is moving in our direction on this issue, even if he didn't discuss the source of the idea on C2C directly (which, unfortunately, isn't that unusual when it comes to broader discussions of a sub-brown dwarf in the solar system). You can read my review of Michael Tellinger's book 'Temples of the African Gods' here. "Martell believes that the larger astronomical cycle runs for 24,000 years and is connected to Earth being in a binary solar system. Assuming that our sun is orbiting another sun (possibly a brown dwarf), "when we're in the Golden Age, when the suns are at their closest points to each other, it does something to the consciousness, and the ability for us to expand our knowledge exponentially here on Earth," he continued, adding that when the suns are at their farthest point, we're in the Dark Ages. Further, a cataclysmic event may have made the lost knowledge of the Golden Age harder for us to trace, he added." This particular description has much in keeping with Walter Cruttenden's work, given the description of Ages and 24,000 years cycles. Irrespective, it seems like the more general Sitchinite position is shifting towards my brown dwarf theory, first put forward publically in 1999 (work that preceded Walter Cruttenden's own thesis by some 6 years). I wonder what the late Zecharia Sitchin would have made of this development? His last book contained what I took to be a polite snub of the Dark Star theory, as you can see in my 2010 review of 'There Were Giants Upon the Earth'. Dark Star now on Kindle! My publisher, Timeless Voyager Press, has released my first book "Dark Star: The Planet X Evidence' in the Kindle format. The book presents many of my original ideas about a sub-brown dwarf lurking in the outer solar system, and how such a 'planet' might hold the key to understanding the source of alien visitation to - and intervention on - our own planet. Since the publication of my Dark Star Theory website and the book 'Dark Star' (2005), these ideas have become inextricably intertwined with Zecharia Sitchin's concept of Nibiru. Many advocates of his theories now accept the Dark Star concept as the best solution to explaining how the Anunnaki could survive in the cold depths of the outer solar system. Discussion of 'brown dwarfs' are now common-place on UFO-related websites and alternative talk-shows. The Kindle download is now available through Amazon: see the link opposite. I'm currently working on an updated version of the book to include more up-to-date references and supporting material. I'm hoping to have it ready for publication by the end of this year.